Founders of the Fertility Festival Jessica Hepburn and Gabby Vautier talk about what to expect at this year’s event! The topic of fertility affects all, yet it’s a topic that we only now find ourselves starting to openly discuss. Everyone has their own personal stories and journeys, a multitude of experiences still yet to explore and learn from. 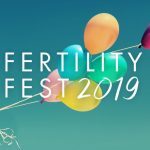 Inspired to curate a festival addressing this often taboo subject, co-founders of Fertility Festival 2019 Jessica Hepburn and Gabby Vautier talk about this year’s emphasis on discussing the modern family, what audiences can expect from this year’s line up and how societal conversations have shifted towards raising awareness on the multi-faceted topic.